Steps to Become a Gestational Surrogate | Surrogate Mothers, Inc. Steps to Become a Gestational Surrogate | Surrogate Mothers, Inc. If you’re interested in becoming a gestational surrogate, it’s natural to have questions about the process. Here’s what you need to know about the steps to become pregnant in a gestational surrogacy. 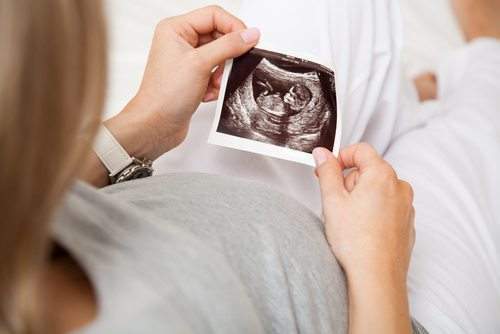 A psychological assessment will be done, which may include a MMPI2 test and a one-hour one-on-one session with the psychologist to discuss your motivations and dedication to the surrogacy procedure. This is to ensure that the gestational surrogate is clear of transmittable disease like AIDS, Herpes, Hepatitis, etc. You’ll be given a list of blood tests that the doctors require when you meet with our program’s Director during your psychological screening in Indianapolis. This is a routine test done during every pregnancy to check the cervix for signs of cervical cancer. This is a visualization of the uterine cavity through a narrow scope that is inserted through the cervix. Dye may be added to increase contrast, and this test determines the size and contour of the uterus and whether the fallopian tubes are clear. Whether or not this test is performed depends on your medical history and the physical exam the doctors perform. You’ll be given estrogen replacements, such as Lupron, and you’ll go through a menstrual cycle on all the same drugs you’ll be on during the actual pregnancy. This allows doctors to assess your uterine lining’s reaction to estrogen replacement. The surrogate mother and the egg donor may be put on birth control pills to try to match cycles. About 14 days into the birth control pills, the surrogate and the egg donor will begin the estrogen replacement medication. When your menstrual cycle begins while on the estrogen replacement, your dose is generally reduced by half and you begin adding a different estrogen replacement to the mixture (in the form of pills, patches, or shots — depending in your physician). Some physicians have you also take other medicines to adjust your hormones in order to increase the likelihood of implantation, safeguard against any undiagnosed disease with antibiotics, etc. These continue anywhere from 7 to 12 days, determined by the egg donor’s reaction to the hormones. The egg donor is assessed about 3 times per week via blood and ultrasound tests to determine her reaction to the drugs. Typically, the clinic will have the donor take a fairly powerful drug called Pergonal which increases the production of eggs. Once the follicles are the perfect size (about 18-20mm), she’s given an HCG shot, which causes an LH surge to further develop the eggs. Up until this time, the date and time of the actual transport is in limbo. Once the eggs are recovered, they are fertilized with sperm from a sperm donor or the planned father and incubated for 2-5 days. At the time of transfer, the fertilized egg is loaded into a syringe with a thin flexible catheter at the end. The catheter is inserted through the cervix into the surrogate’s uterine cavity, usually with the help of an ultrasound to ensure correct positioning of the embryos. Most physicians will transfer two or three 2-day old embryos or two 5-day embryos. If a pregnancy does not result from the transport, any unused embryos are frozen for future transfers. After the transfer, you’ll be on bedrest for about a day. Afterwards, you may be given estrogen supplements to thicken the uterine lining, making it more receptive to implantation. A quantitative HCG test — one that determines the amount of pregnancy hormone in the gestational surrogate’s blood — is typically done 14 days after transport. At that time, the ideal HCG level is 50 or better. The surrogate will have a second quantitative HCG test two days after the first to confirm the pregnancy hormones are increasing. They should double about every 48 hours. Normally during this time, hormone levels are assessed repeatedly to ensure the appropriate amounts are being kept to make sure the pregnancy continues. The surrogate is weaned off the hormone replacements once the placenta begins taking over the hormone creation. The remaining portion of the pregnancy would be the same as any other pregnancy. If you have further questions about gestational surrogacy, don’t hesitate to reach out to Surrogate Mothers, Inc. by calling (317) 996-2000.